Debt Settlement Kept Us Out of Bankruptcy! Several years ago, my wife and I faced one of the darkest times of our lives. Although we were in a financial mess, we found a way to work through it. Hopefully, our story may help someone else. I never dreamed that I would ever be in a situation where I could not pay my bills! I had been working for the same company for about 10 years, was in charge of a large area of the country, and my sales and sales team usually led the company. This meant that I was getting a nice bonus each year as well as my large salary! Like I said, "Life was good!" Although I had heard the rumors about a possible sale of the company to a larger competitor, I was told "Don't worry, even if this happens, you'll be OK". One afternoon, my supervisor called me into his office and I could tell that something was up. After a few minutes of chit-chat, he finally came out with it and let me know that the sale was going to happen, and that the new company was going to terminate my position and replace me and my team with their own people! "What was I going to do?" No real job prospects in a bad economy! I knew I was in trouble and I was starting to panic! I sent out dozens of resumes and went on several interviews, but no luck. One night, my wife and sat down and completed a "Home Budget Worksheet". Even though I kinda had an idea of what came in and what went out, I really hadn't ever taken the time to track it carefully. After all, we were making great money and really had nothing to worry about. Boy, was I shocked to see the real numbers! Internet and TV Service that included about 1,000 shows and channels we rarely watched! The hot water heater stopped working. The plumber said that there was nothing he could do to repair it as it was just too old. With our savings just about gone, I had to use one of my credit cards to buy a new one and pay for the installation. Even though the total was about $1,000, it really only increased my minimum monthly payment by $25 or so. With no one willing to hire me at anywhere close to what I was earning before, I finally had to take a job at just a little over minimum wage. It was better than nothing, but the final take home pay was just not enough to cover everything. 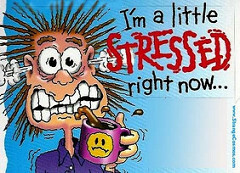 I was really beginning to stress out! CREDIT CARDS TO THE RESCUE? We had no choice but to pay only the absolute essential bills like the mortgage, utilities, groceries, etc. and let the credit card bills, medical bills, and yes, even the car payment get behind. I mean, what else could we do? Sure, there was a little equity in our home, but with our bad credit rating, we wouldn't qualify for a second mortgage or refinance. Over time, I had to use the cards to make up the shortage we faced each month. As the total credit card debt was increasing due to late fees and over-the-limit fees, we had to use a CASH ADVANCE once in a while just to pay a utility bill or buy groceries! The crazy thing was, even though we hadn't made a payment in 3-4 months, and were getting nasty letters from our creditors, we would still get an OFFER from a credit card company for another card or to consolidate all the others with a BALANCE TRANSFER! We actually had three cards from one company! Made no sense! Sure, this "rob Peter to pay Paul" action was holding them off, but we knew that a"day of reckoning was coming!" One evening, after the kids were asleep, we sat down at the kitchen table and took a long, honest look at our situation. There just wasn't enough money to cover all of our expenses and bills. It looked like BANKRUPTCY was our only option. As we discussed this, my wife told me that she had a friend who had gone through a similar financial situation and had prevented choosing bankruptcy by going through a Debt Settlement Program. I called the company she had used, but after a few minutes talking to the rep on the phone, I just didn't have a good feeling. It seemed that all he wanted to do was to get us to "sign up" right away and that he really wasn't listening to our particular situation. I tried to contact the debt collectors myself, but soon learned that they did not care about our situation and were not very sympathetic and usually very rude. Sure, they were willing to settle the account for a little less than the full balance, but they wanted the money in a lump sum! I lost my temper and told one guy, " You %%#@*&^%, if I had that kind of money, I wouldn't be in this situation!" He seemed as if he could care less. I was angry and embarrassed! After several frustrating attempts like this, I went online and checked out a couple of debt settlement company's Better Business Bureau reports. There weren't very many that were accredited and had an A+ rating with no complaints! It was very evident that not all debt settlement companies were the same! They had to REALLY LISTENED AND WERE SYMPATHETIC TO US! After calling a few, we decided to go with a company that seemed to meet the criteria we wanted. Once we enrolled, the first thing they did was to put a stop to those annoying and basically harassing calls from the collectors! I can't tell you how great it was to have someone "in our corner" now! We had stopped sending payments to the creditors (just didn't have the money! )for about the last 3 or 4 months and some of our accounts had already been turned over to a Debt Collector. We started making monthly deposits (what little we our budget would allow) into an FDIC insured account for future settlements. This monthly deposit was a little less than half of what the total minimum payments would have been, so this really helped! Over time, the company was able to settle each of our debts! Some of them were settled at less than 50%, saving us a lot of money! I really appreciated the service we received. It helped calm us during the whole process. Well, it took about 4 years to get all of our debts settled (we had enrolled about $40,000 of various unsecured debts), but it was well worth it. When we had questions or concerns, we were always able to talk to our representative and/or the negotiator. Not only did we save thousands of dollars through the settlements, our CREDIT SCORES started to improve! Here we are, still in our home, no creditors calling, all of our credit cards have a $0 balance (we actually cut them all up!) and we FEEL GREAT! Even though we could have, we are very glad we didn't turn to Bankruptcy Protection. What Would it Feel Like if You Were DEBT FREE? If you are living with the stress of too much debt, I have a question...what would you feel like if you were DEBT FREE?. 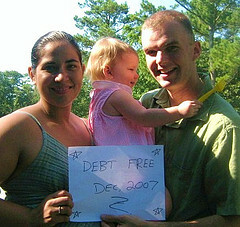 Regardless of your financial circumstances, you can be DEBT FREE... How would that feel? Now let's think about that for a minute. If these are the averages, that means that some households have much lower over-all debt and therefore lower credit card debt. But on the other hand, that means that some households have much higher over-all debt and therefore much higher credit card debt! After helping people solve their debt issues for over 10 years, I have found that our average client has credit card debt that totals about $25,000! HOW WOULD YOU FEEL IF YOU WERE DEBT FREE ? ? ? I'm not talking about dreaming about winning the lottery, but finally paying off everything and everybody you owe! No more waking up in the middle of the night worrying about the bills! No more standing at the check out counter and praying the card is not declined! No more making excuses because you really can't afford to go with your friends! No more dreading the end of the month,knowing there is not enough to pay all the bills! Get the idea??? NO MORE ! ! ! I was talking to a good friend of mine about this and he said that to him, being DEBT FREE is better than about anything you could imagine! I think he's right! When you under the burden, pressure and stress of DEBT, you really can't enjoy life. I mean, what good is driving a new car if you know you really can't afford it? Sure, you have a nice big home, but the truth is, you can barely keep up with the payments, much less pay for any maintenance or additional "trimmings". OK...I think I've made my point. Are you ready be Debt Free? It's time to get down to business...financial responsibility. (Really...has it come to that?) Financial responsibility starts with an honest accounting for every dollar that comes in, but most important, that goes out. Yep, the old BASIC HOUSEHOLD BUDGET. List everything you are spending money on. Not just the big items like rent or mortgage, car payment, groceries and utilities... I said you have to be honest! Daily latte at Starbucks? Really? At $4 -$5 per day? Health club membership you rarely use? Seriously? Buying lunch out instead of making a sandwich? OK...I know I may be over stepping, but what about that smoking habit? At $5/pack? And yes, you better address all the other little "things" that can really add up! It's time...and you know it. Now that you've found a few (or several) extra dollars from getting rid of some, if not all, of your "wasteful spending habits", you can start down the road to financial freedom! If you have found an extra $100 or more from making cuts from you "out-go" in the budget and, you have the self discipline to follow through with the program, this might just work for you. Basically, you are going to list all of your unsecured debt (you can do all debts, but for now let's just tackle the unsecured ones). List from the smallest balance to the largest balance. Don't worry about interest rates now. Le't say the smallest balance requires a $50/month minimum payment and you have an extra $200 (from all of the $ you were wasting). You are going to pay $250 towards this balance until it is paid off. After it is paid off, you are going to start on the next balance. Let's say you have been making $100/month as a minimum payment on this one. Now, you are going to add the $250 from paying off the first balance to the normal $100 for a total of $350 going after this second balance. Once it's paid off, you're going to add $350 to whatever the minimum payment is on the next balance...and so on...and so on. Guess what? You're going to have all of these unsecured debts paid off before you know it! And since this worked so well on the unsecured debts, what about adding the extra money you now have from paying all of them off to your mortgage or student loans? Wow! If you don't have any extra money or if it seems a little "overwhelming", then you should consider a DEBT SETTLEMENT PLAN. 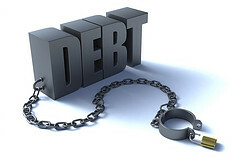 Debt Settlement is for people who, because of circumstances beyond their control, find themsleves in serious debt. If you can't afford the minimum payments on all of your unsecured debts and/or some have been turned over to a debt collector, you would profit from a Debt Settlement Plan. Debt collectors are usually willing to accept less than the balance due because of your financial hardship. This can be 50% or more, again, depending on several factors. Once the balance has been negotiated and the debt settlement agreement is paid per the debt settlement agreemenet, this account will be noted on your credit report as "paid-in-full" or "paid-as-agreed" or even "settled at less than the balance due". Regardless, the balance is ZERO....$0. HOW'S IT GONNA FEEL TO BE DEBT FREE!!! OK, let's say that things are so bad you can't take advantage of the Debt "Roll-UP" Plan or even the Debt Settlement Plan, then you should consider Bankruptcy. 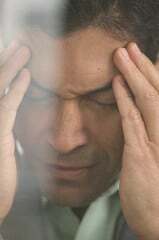 You will need to find a compentent bankruptcy attorney, but be careful! You should interview two or three in your area and get some references. You should not have to pay too much up-front for their services and you should not have to pay anything for the initial consultation. But even if you have no choice but to file for bankruptcy, life is not over! The bankruptcy process is not as bad as you imagine. In fact, once it is completed, not only will you be DEBT FREE once again, you will be able to rebuild your credit a lot quicker than you think. HOW WOULD YOU FEEL IF YOU WERE DEBT FREE? Real Life Story on How to Become Debt Free! Want to learn a method to become DEBT FREE? Here's a recap of a real life success story you don't want to miss! I had to comment on an article I read in the 4/2/14 edition of The Oregonian newspaper. "Couple put strategy into action, paid off $127,000 in debt"
It took them a little over 4 years, but they were able to pay off all of their debts and are now living DEBT FREE! 1. Adjusting your tax withholding. If you are getting back a large TAX REFUND each year, consider changing the number of dependents/withholdings. This alone generated about $100/month extra to put towards debts. Using grocery coupons. Become a "coupon expert". This alone could help save you 20%-30% off your grocery bill each month! Do you really have to have a "Starbucks" coffee each morning? At an average of $4-$5 per day, that adds up to $100 -$150 each month! Too many "premium cable channels"
HOW GOOD WOULD IT FEEL TO BE 100% DEBT FREE? OK, you get the idea. So now you've found an extra $100 -$200 per month. Sort by the smallest balance first (don't worry about interest rates). You are going to make all of the minimum payments, but you are going to add the extra (let's say $150/month) you found by making sacrifices, etc. to the smallest balance. Once that one is paid off, you are going to add the extra $150 plus the minimum payment required on that smallest balance and add that to the minimum payment you are required to make on the second smallest balance. Let's say you had several cards, but the Visa Balance was $1000 and the Discover Balance was $2500. The minimum payment for the Visa was $30/month and the Discover was $65. You are going to make a payment of $30 plus $150 to Visa until it is paid off. At the same time, you are making the $65 to Discover as well as all of the other minimum payments required. Once the Visa is paid off, you are going to take the $180 ($30 + $150) and add that to the $65 due on Discover. Now you ar making $245/month to Discover (and all of the other minimums as well). Once the Discover card is paid off, you take that $245 and add it to the mimium on card # 3. Can you imagine how excited you will be when you start seeing those balances down to $0! Yes, it won't happen over night, but before you know it, you are going to be 100% DEBT FREE! This is not a new idea. This is a Snowball Debt Reduction Plan. If you are serious as this couple was, get your Snow Ball Calculator today! This all sounds great, you say, but what if you can't keep up with the minimum payments despite making cuts trying to find extra funds, etc.????? Debt Settlement is for those who are doing and trying everything they can to keep from seeking bankruptcy protection. Basically, funds are deposited in a bank account until there are sufficient funds available to begin negotiations with your creditors/debt collectors. Depending on several factors, your debts may be settled for 50% or less. Regardless of your financial circumstances, there is a solution!